Access the Content Search dialog box by right-clicking your content and then selecting Search from the context menu. The Search dialog box is shown in the following image. 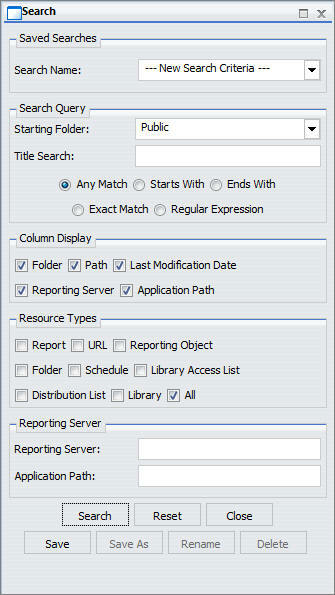 Specifies the Reporting Server to use for the search. Specifies the Application Path to use for the search.